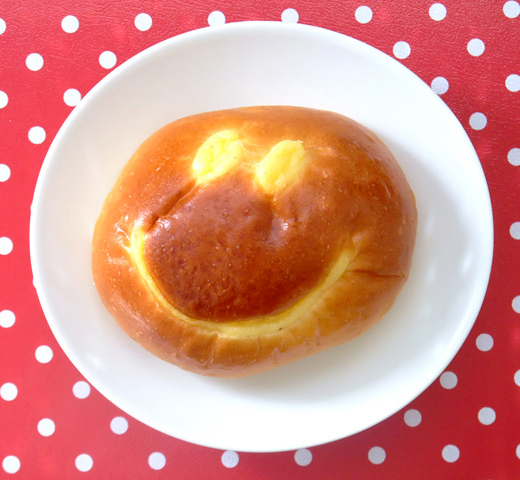 Happy smiley pastry! custard cream filled in soft bread. all of LA TERRE breads are baked in the stone oven.